Nice work in both meaning. Has a dreamy retro feel - I dig the processing here. And then you took a very good photo of it. Nicely done! Like Marko said, almost a retro/lomo feel, nice work! 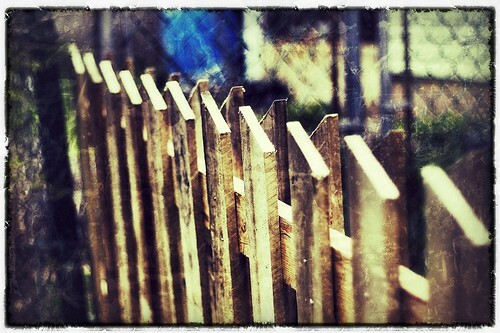 Nice job on the fence, and really like the pp, and the selective focus.